We provide a variety of professional repair services for retro and current generation video game consoles, handheld game systems, smart phones and tablets. If your video game is not working, just bring it over. We can tell you how much it will cost you to fix it on the spot. Our prices will definitely be the cheapest in town. Usually it takes about 1-5 days to get your console repaired. 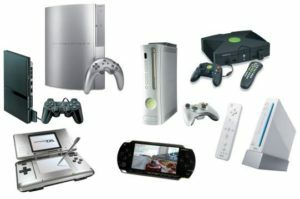 Give us a call or contact us online if you have an specific question about your video game console.